I have both The Hobbit and The Lord of the Rings sets from AVC/Jabberwocky. 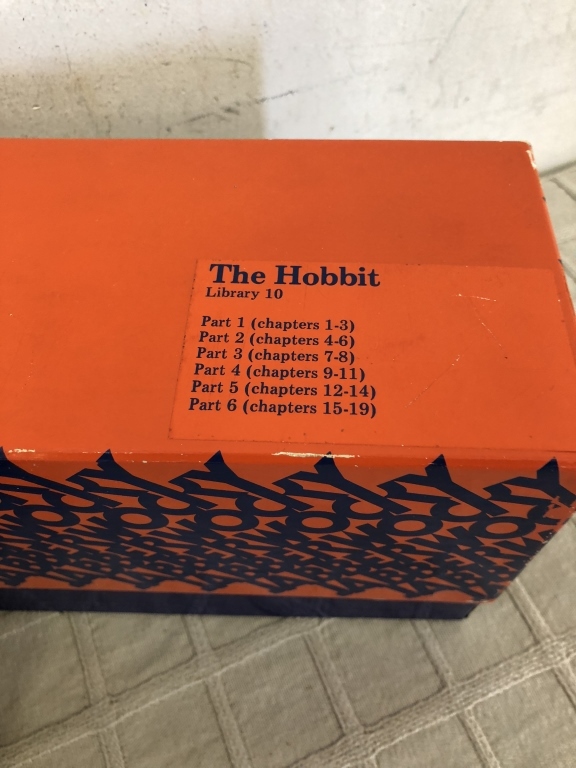 You say you have twelve cassettes and twelve books (which matches my Lord of the Rings), but the image you shared shows the six part Hobbit set. Do you have both? Or is your Hobbit set in six parts, but with twelve cassettes and booklets? Looks to be in awesome shape, by the way! I think it must be six..I was mistaken..yes its in great shape!